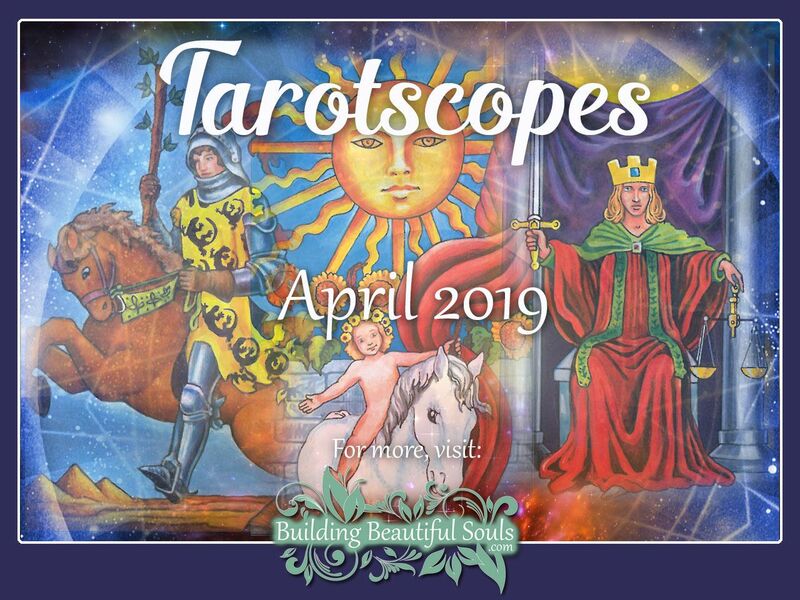 Welcome to the most in-depth monthly tarotscope and astrology overview for April 2019! Please bookmark us so you can come back throughout the month for more tarot insights! For some of us, spring began in early February when the crocuses first peep through the snow, but April always brings us right into the heart of the season. So, it is quite fitting for us to have the Page of Wands signaling what lies ahead this month! The Page of Wands is the most youthful of all the Tarot archetypes: One representing renewal, growth, and great promise. The archetype relates to communication, creativity, ambitions, and our outlook on life. If we choose to harness the best of this archetype’s influential energies, we will welcome the fresh air the season breathes into our relationships, heart, mind, and ideas. We enter the month with an insatiable desire to express our individuality and leave our mark on the world; we may do this through some creative means, or some of us will find satisfaction in humanitarian pursuits and volunteer work. The Page of Wands announces our novel approach to a relationship or any task at hand. Romantic relationships receive an injection of love and unbridled passion; We revive old friendships and strengthen new bonds. Our hopes are high, and our outlook bright! The Universe invites us to call upon our inner child; to view the world through a lens where magic is everywhere, and all things are possible. If we’ve been feeling less than motivated, spring’s warm breezes and aromatic air awakens our weary souls. Joyful and energetic, we are full of boundless potential as we take on any obstacle in our path. If we at one time said “no” to an otherwise wonderful opportunity, we’ll embrace it wholeheartedly now. A significant boost in self-confidence has us open to making new connections in our social settings. Any shadow of a doubt once looming over us disappears like smoke in the wind. 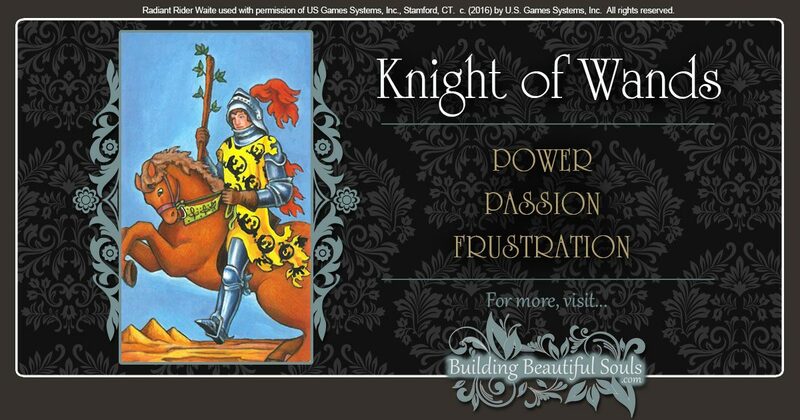 Click to learn all about The Knight of Wands Tarot Card! 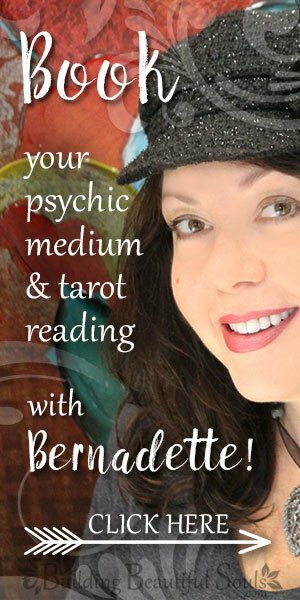 Want to learn about Tarot? Click to read all about Tarot Card Meanings! Get in-depth info about the Major Arcana Tarot & the Major Arcana! Unravel the meanings of the Minor Arcana Tarot & the Minor Arcana! Want to know more about the suit of Wands? Click to read all about the Tarot & the Suit of Wands! The Knight of Pentacles rides in as the governing influence for April, Aries; so, for you, there’s much to do! Your keyword is “action,” so you’ll have no trouble diving right into the fray! The knight appears to be standing still on his black horse, but he is only taking a momentary survey the land to determine the next crucial steps he’ll take in preparing for a bountiful future. You’ll be doing much of the same as you plant seeds for future financial investments, or you make all the right moves in a romantic affair, so the relationship continues to blossom. The key here is to remember not to rush headlong into any of your plans, but to make the most of the time you need to reflect on the methods or steps you’ll put into action BEFORE implementing them. There’s no safety in making assumptions here, and if you rush things, you’ll overlook crucial steps in the planning process. The Knight of Pentacles is at a stage in life where he is mature and capable of delaying immediate gratification to harness something greater in return. This Knight is respectable and has earned the honor of those he serves, fights for, or interacts with because he is responsible and worthy of trust. Moderation and forethought are your armor; your ambition and tenacity: Your weapons for cutting through obstacles on the road to your dreams. 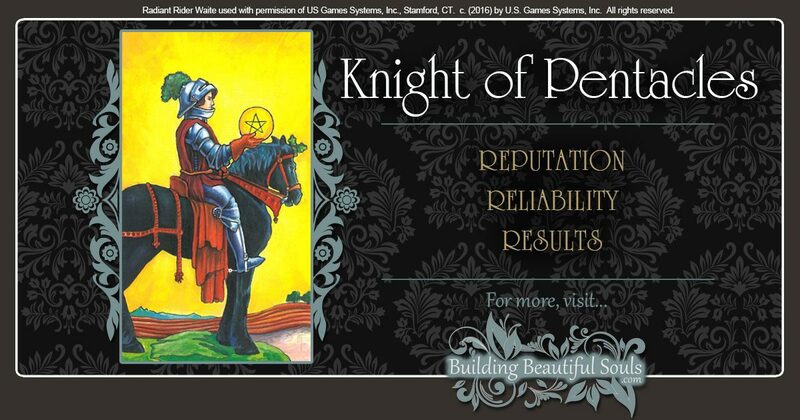 Click to learn all about The Knight of Pentacles Tarot Card! Want to know more about the suit of Pentacles? Click to read all about the Tarot & the Suit of Pentacles! One of the biggest challenges you face in this lifetime is difficulty with inertia. Let’s face it, Taurus; you don’t like change and you resist it at all costs, even when it is for your greater good. You’ll drag your feet and throw yourself to the ground before you’ll embrace change, much like an angry child demanding a candy bar from a refusing mom at the grocery store. (And who won’t put up a little fuss for some peanut butter and chocolate, right?). The reversal of The Hermit triggers a period of retrospection and solitude. To some, this may appear as if you are being the stereotypical-stubborn-Taurean who simply refuses to get a move on, but you’re only foregoing action in the outer world to improve your inner reality. Your motto is “I have,” so April is a month where you’ll reflect on every blessing in your life; Starting a gratitude journal helps you begin the journey. This is also a time to spend clearing out the cobwebs of your interior world and dusting the corners of the mind where outmoded beliefs and understandings linger. Journaling, meditation, yoga, dreamwork, and quiet contemplation help you to reassess your values and clear away negative thoughts that hold you back from being all you can be. A spring clean of the mind is just as important, if not more crucial for the growth of your spirit. You may spend time exploring your spirituality and reading self-help books now. 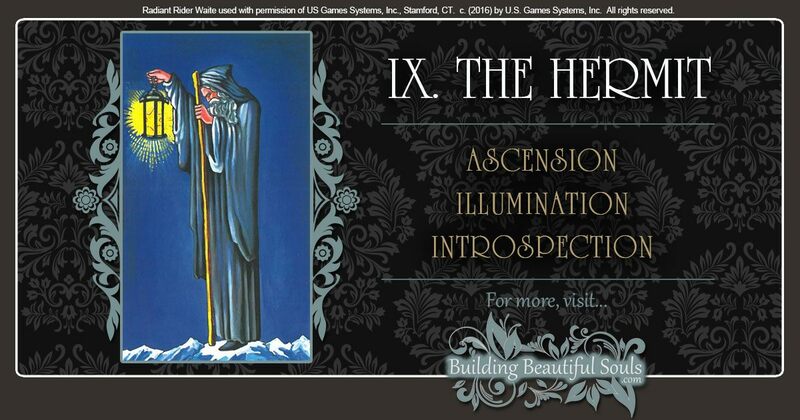 Click to learn all about The Hermit Tarot Card! It’s a beautiful month for you, Gemini, with the Sun shining down upon you and blessing every step you take. People are transparent, every situation has a clear outcome, and problems seem to melt away along with the last remnants of the snowy winter under the warming rays of the Sun. Of course, the governing influence of The Sun card has you counting every blessing. With your motto, “I communicate,” you won’t hesitate to share your gratitude with others. Besides, there’s nothing like sharing positive vibes: You’ll buzz through the month, euphoric and satisfied. April’s positive energies have you feeling lighter than air. If you’ve been in a rut, there’s little difficulty getting a move on now! You’re brimming with energy and ready to take on the world! You’ll jump right into action working hard at beautifying your environment at work or home. A massive spring clean is in the offing where you’re looking to declutter and let positive vibes permeate every corner of your sacred space. In matters of love, where you may have gotten a bit too comfortable, you are more attentive with your lover. When the chemistry between you ignites anew, you’ll find yourself well rewarded. A change in perspective also helps to revive the passion you have for your chosen profession. 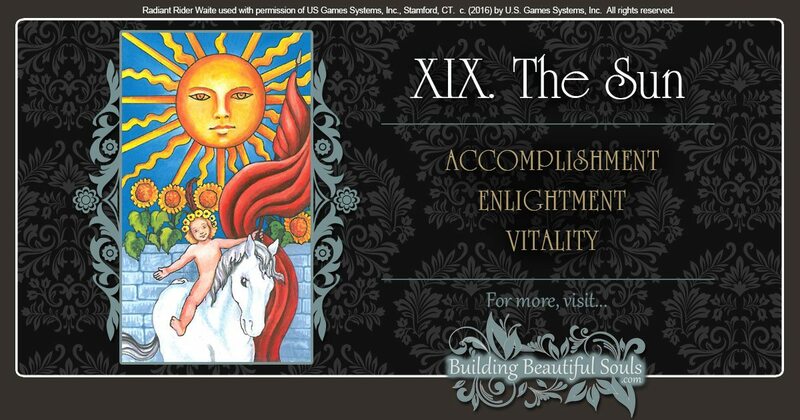 Click to learn all about The Sun Tarot Card! The reversal of the Three of Swords coupled with the positive vibes you’ll get from the energetic influences stemming from the Page of Wands has you feeling nostalgic this month. You’ll look to the past for sure, Cancer, as you always do, as you’re one to never let a memory fade into oblivion. But what you won’t do is wallow in any moment that makes your heart hurt. Yes, past emotional pains exist, but you are willing to forgive: Doing so gives you permission to heal. Your motto, “I feel,” is something you’ll put into full force this April. You’ll leave old emotional wounds and the codes of behavior they create behind. From past hurts you’ve learned exactly what you don’t want in relationships. With a clear definition of what you do want, Your seeking genuine love with an authentic, compassionate mate. April’s positive vibes have you feeling warm and fuzzy, as if you’re a kitten basking on the windowsill, drinking in the rays of the Sun. You’re feeling warm-hearted and empathic, to the point you want to serve the greater good of the community. Volunteer work may lie ahead, or you’ll simply find yourself enacting one small act of kindness with everyone you meet. Your acts of goodness are just one more step in your own healing process. 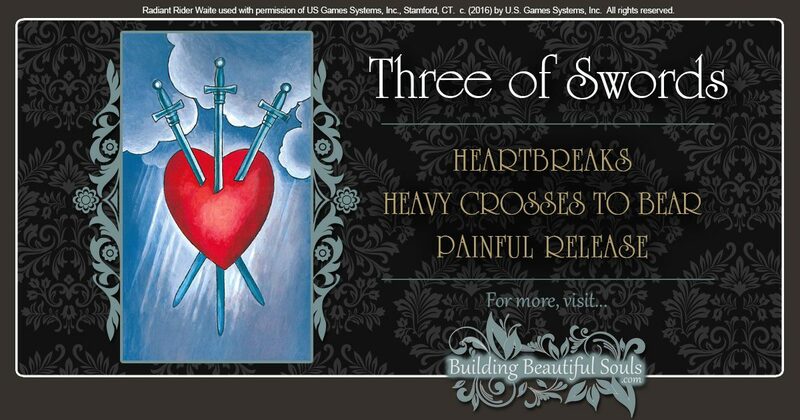 Click to learn all about The Three of Swords Tarot Card! Want to know more about the suit of Swords? Click to read all about the Tarot & the Suit of Swords! The Judgement Card may stir cause for concern, Leo, but really, this Major Arcana Card carries a constructive message. A cursory look at the card’s imagery may call up biblical images from The Book of Revelation. The depiction might have you thinking of enforced or uncomfortable endings or damaging and unchangeable outcomes. Really, the card’s meaning is more about action, CHOICE, and ramifications. Bear in mind, it is always a choice that precedes any set of consequences. Judgement symbolizes your true power: You play a role in every outcome, and the decisions you make ripple out into the world to influence the environment and others around you. Your life motto is “I will,” so you live to manifest all your best intentions; the Judgement Card simply asks you use your “best judgment” when considering what it is you want to bring into your world and the reality of others. The macrocosm and microcosm connect and influence one another while creating the known Universe; April’s energies call you to recognize your role and influence within that sphere. 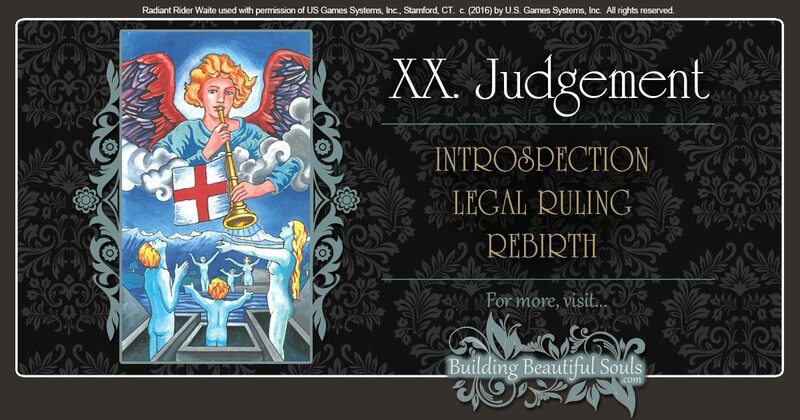 Click to learn all about The Judgement Tarot Card! You’re feeling conflicted, Virgo. With everything alive, thriving, and the positive vibes in the air, all you want to do is kick back and take it all in – But, April promises some emotionally challenging moments ahead. The Five of Cups foretells of a time where you’re facing troubled waters. You may endure a loss of some kind or simply go through unnecessary hardship. Whatever the case may be, you’ll question, (at least once) how the Universe can be so harsh. You’ll have trouble not slipping into a “wish” phase, where you’ll long for things to be different. Guess what; your life motto is “I analyze,” and the Universe is giving you the perfect opportunity to use this gift. It’s time to put your puzzle-solving skills to work and evaluate your situation. You may face difficult questions and profound truths, but it contributes to your growth. If you can’t seem to find a lesson to derive from your experiences, then consider if the real lesson lies in learning how to change the lens you’re using to view the situation – sometimes a shift of perspective makes all the difference in the world. The same change in perspective will have you smiling once more. 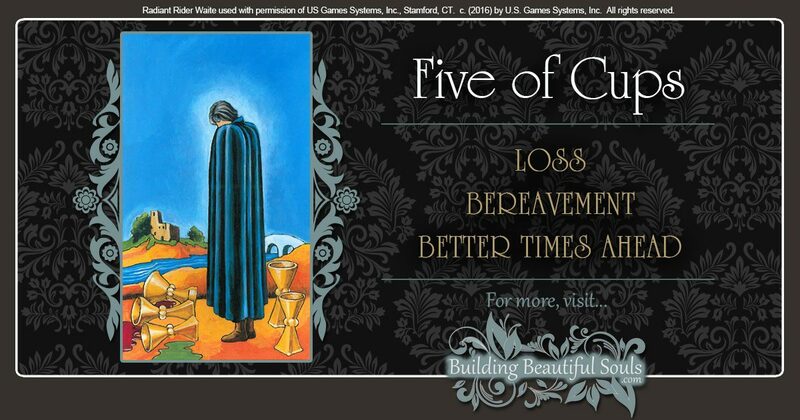 Click to learn all about The Five of Cups Tarot Card! Want to know more about the suit of Cups? Click to read all about the Tarot & the Suit of Cups! It’s easy to be caught up in all the positivity around you and being a personality ruled by the air element, it’s equally easy to be swept away. Sometimes you’ll need to cast aside your friendly persona if you plan to establish “balance.” The Queen of Wands is a force to reckon with, and her message, when appearing in reverse, is that sometimes you need to turn up the volume on the Fierce and Wild Divine Feminine. Though it may seem easy to trust those around you, now is the time to stand your ground. Think twice before allowing your vulnerabilities to show. Save your most authentic self for those most deserving. It’s okay to expand your social circle if you don’t wound your own heart to do so. 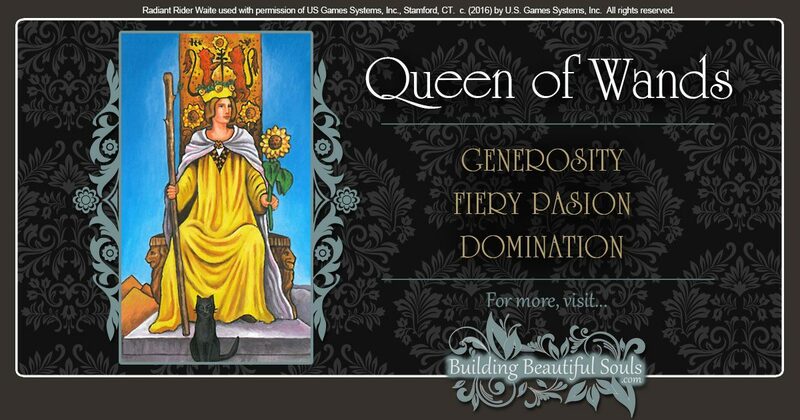 Click to learn all about The Queen of Wands Tarot Card! Even with the wonderful energies surrounding you in April, you still act like you must swim upstream, Scorpio. The reversal of The Moon card tells of a time where you’ll feel as if you’re trying to defy gravity at every effort. If you’ve been wallowing around in emotions and you are just coming up for air, you’ll find you can’t see your way forward. The truth: You’re too close to your situation to find a solution. Spring brings the renewal of nature, so use this time as a cue to renew your point of view. Your life motto is, “I desire,” and in the pursuit of all you wish for, emotions might blind you to simple truths. Take a step away from the problem. Look at things from an outsider observer’s perspective. The Moon relates to the Divine Feminine, compassion, and intuition: Rely on all three to produce a novel method for dealing with a situation. Otherwise, emotions may block you from achieving your desires. 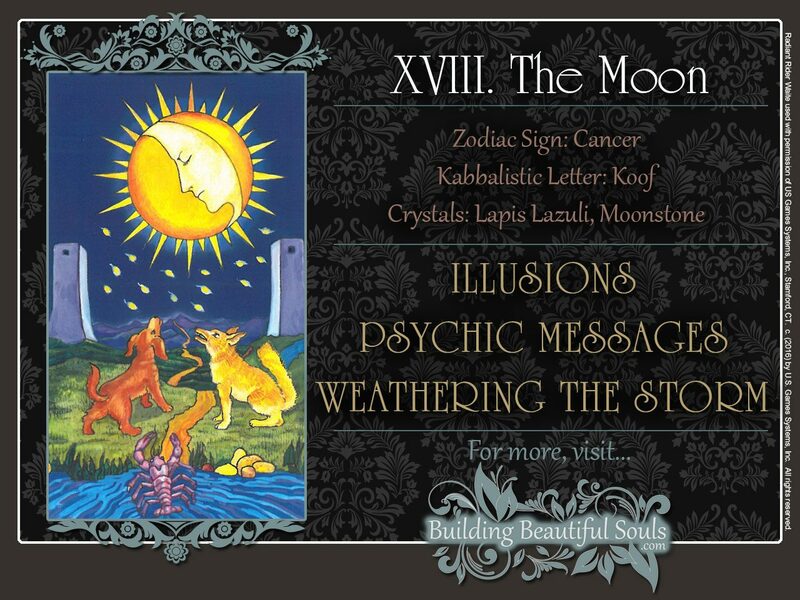 Click to learn all about The Moon Tarot Card! Don’t let the appearance of The Devil card deter you from thinking things won’t go smoothly for you this April, Sagittarius. Though an unnerving image, with Adam and Eve chained together as they stand at the foot of Baphomet, really the card’s message is about personal liberation and freedom. Your life motto is “I philosophize,” and it’s likely you’ll use this talent to look at habits or other conditions holding you back in life. This April, the arrival or the Sun’s warmth and more light is symbolic for you, representing your enlightenment and awakening. You’ll be able to see conditions are they really are; not through the lens of self-deception. Look at the reversal of The Devil Card and imagine the chains binding Adam and Eve into position falling away. After evaluating a situation that’s been holding you back, you’ll weigh your options and put all the right theories into motion. If you’ve been nervous about making a decision or taking action, your fear will subside as you tap into the well of personal strength within you. After all, Sagittarius, you’ve never been one who refuses to take on a challenge. 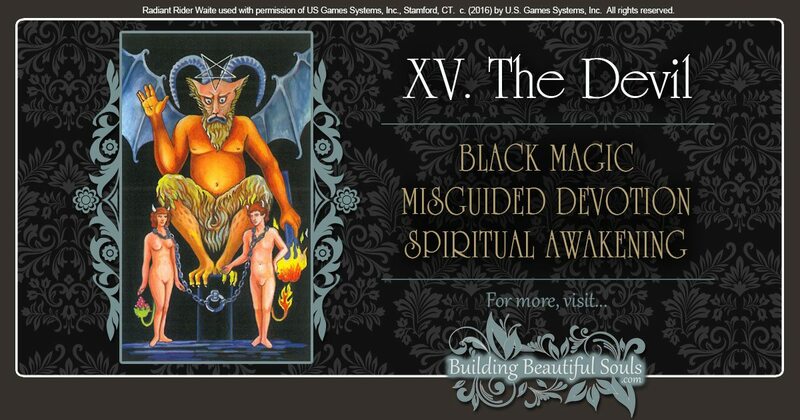 Click to learn all about The Devil Tarot Card! The reversal of the Six of Cups foretells of a minor struggle with communication or a period where you fall from grace. The card depicts a man riding a horse while a crowd of cheering onlookers surround him; he carries a staff with a wreath of victory hanging from it. The reversal has the wreath falling away and the man falling off the horse; but, not to worry, Capricorn, this is only a minor disruption really, so it won’t break your stride! While you enjoy the leadership role, you’ll be working more behind the scenes this month. Any success you derive will stem from a group effort, so, the spotlight won’t shine on you alone; this is not something you’re accustomed to – you may take a blow to your ego. Never one to reveal your hand, others will still see you as cool and collected, even when feeling slighted. The key here is not to sweat the small stuff; everyone gets their 15 minutes of fame. Right now, look at yourself as one of the important “extras” in a film; even the small parts contribute to the masterful creation of the bigger picture. Besides, with your life motto, “I master,” always in the back of your mind, it won’t be long before your back on the horse of victory. 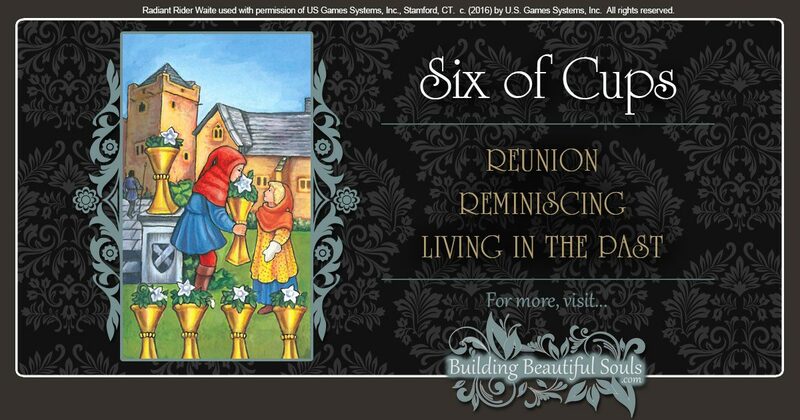 Click to learn all about The Six of Cups Tarot Card! Just because swords have to do with strife, it doesn’t mean you’re looking at high-stress conditions, Aquarius. Of course, with your life motto being, “I know,” it’s likely you’re already shaking your head in agreement because you knew the good news the minute you saw your card for the month! The reversal of the Seven of Swords foretells of a time where difficulties fall away and open the way for easier conditions or emotional healing. People around you are genuine, and while you may worry about someone being deceptive, the truth will prevail. The Sun shines on the scene in the Seven of Swords, and with the swords of strife out of the way, there’s nothing casting a shadow on your path. Conditions will seem transparent to you, even if you hesitate to embrace them. The good news is that whatever caused uncertainty in a situation or causing you to distrust, you’re on the road to recovering from it. The arrival of spring provides you with more energy and exposure to positive vibes that help lighten your perspective. So, it’s out with the old, and in with the new, Aquarius, and not a moment too soon! 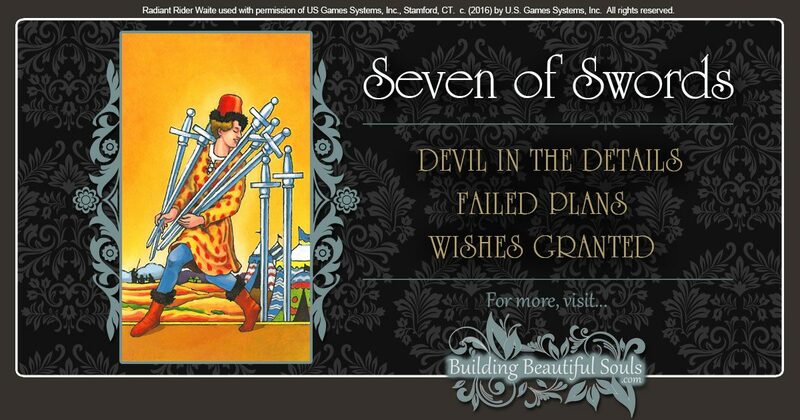 Click to learn all about The Seven of Swords Tarot Card! With the reversal of the Justice card, it’s pretty clear you’ll face unfair conditions. Sometimes you’ll have to call on the very best of yourself and hold out for Justice; until that time, you’ll have to live by your life motto, Pisces, and just “believe.” Here, the archetype representing Justice has no blindfold, so all things are visible. The reversal of the card also shows the sword of truth falling out of the hands of Justice and the Scales of Justice out of balance. When you’ve been wronged, it will be eventually righted, but not now. In fact, you may have nothing to do with the rebalancing of the scales. If a person has injured you in some way, their karmic justice is out of your hands; accepting this fact along with the idea that you can’t control everything goes a long way when you are seeking peace. Let’s face it, Pisces; there’s no one like you who can hold a grudge: Now’s the time for letting go. 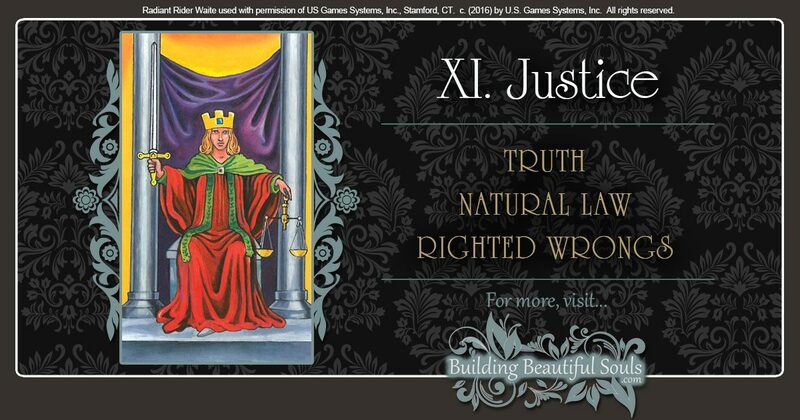 Click to learn all about The Justice Tarot Card! This entry was posted in Tarotscopes - Monthly tarot insights for your zodiac sign!. Bookmark the permalink.